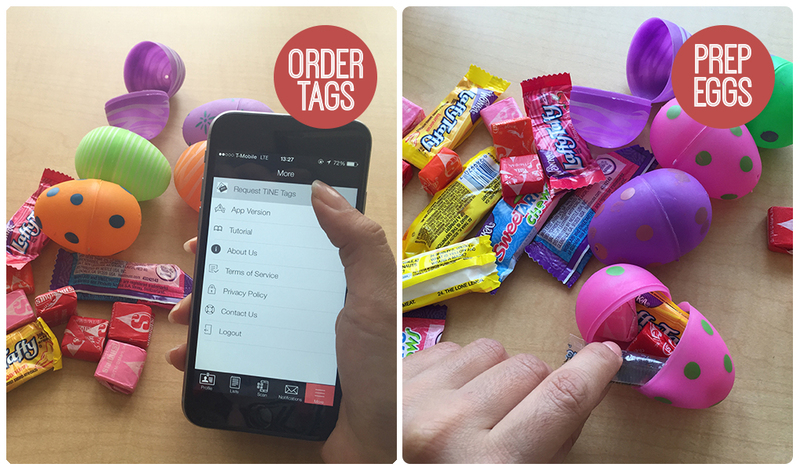 Step 1: Before anything else, order some tags from in-app. They usually arrive within 2-5 days, so make sure you have enough time before the egg hunt. Click on the More icon on the bottom of the screen then tap Request TINE Tags to order your free tags. Step 2: Fill each egg with candy and chocolate. Step 3: Stick a TINE tag on the outside of the eggs. Step 4: Tap Scan at the bottom of the screen, align the sticker within the white border and wait for a confirmation that the tag has been scanned. Step 5: You’re now on the Quick Setup page. Click Add Audio Message. Step 6: Hit the record button, and start recording a clue. Tap the red button again to stop recording. Here are good lists of clues from Netmum and Easter Egg Hunt Clues to help you out. Step 7: You’re done! 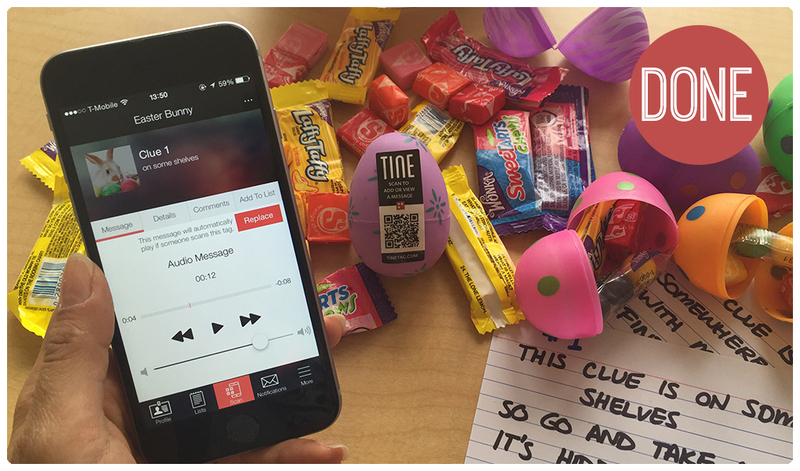 Once you’ve finished recording all the clues, hide the eggs. Don’t forget to keep a list of where you’ve hidden them. TINE automatically notifies you once a player scans a tag, letting you keep track of the game. 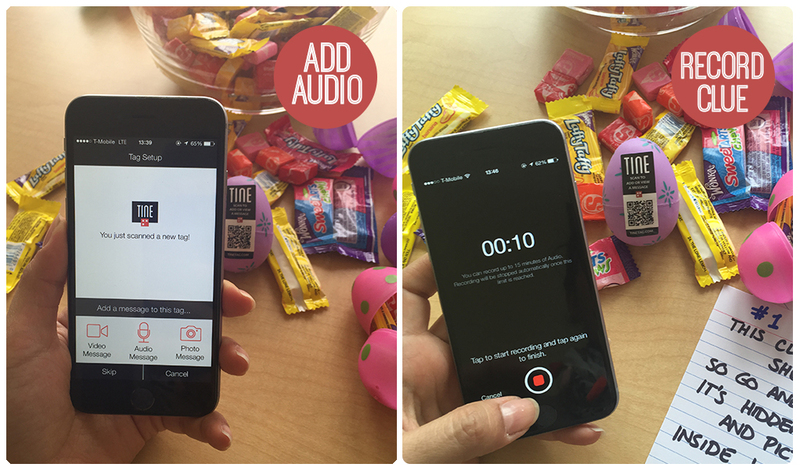 Bonus: If you want to get extra creative, plan different themes for each egg ahead of time, and instead of audio clues, you can dress up and provide video clues instead! 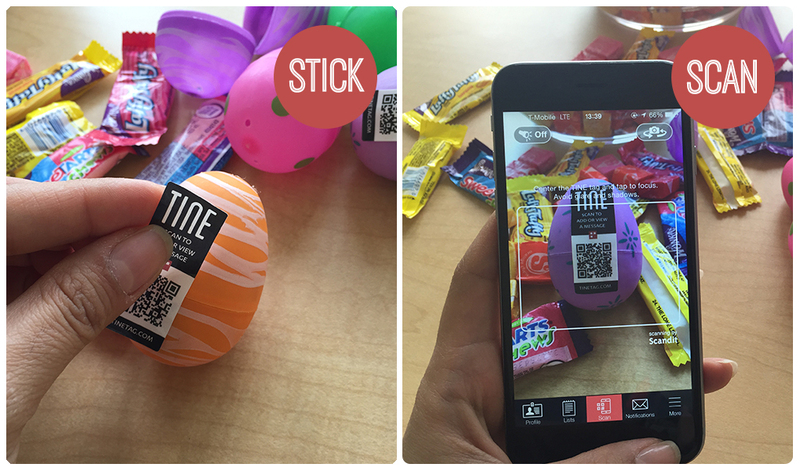 Don’t forget to download TINE Tag and order stickers at www.tinetag.com/shop. Available for iPhone and Android.